I have already talked about how I never liked broccoli before and then I started trying it out! 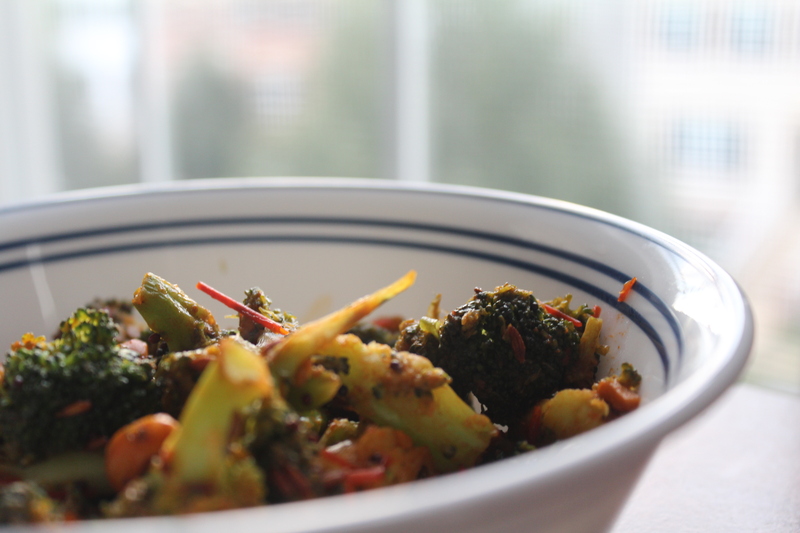 I have tried so many broccoli recipes but not written enough for the blog :). Oh I forgot to mention, broccoli is also one of the easiest and fastest veggies you can cook up along with being really healthy! Anyway yesterday I really wanted a quick and easy side, faithful broccoli came to my rescue. About this recipe, its yummy! 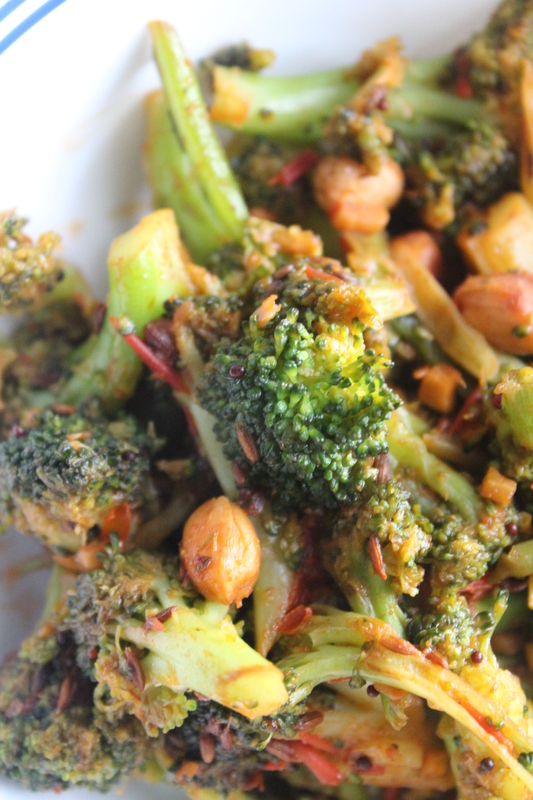 Just uses a couple of ingredients to give a quick touch up to the taste of broccoli! 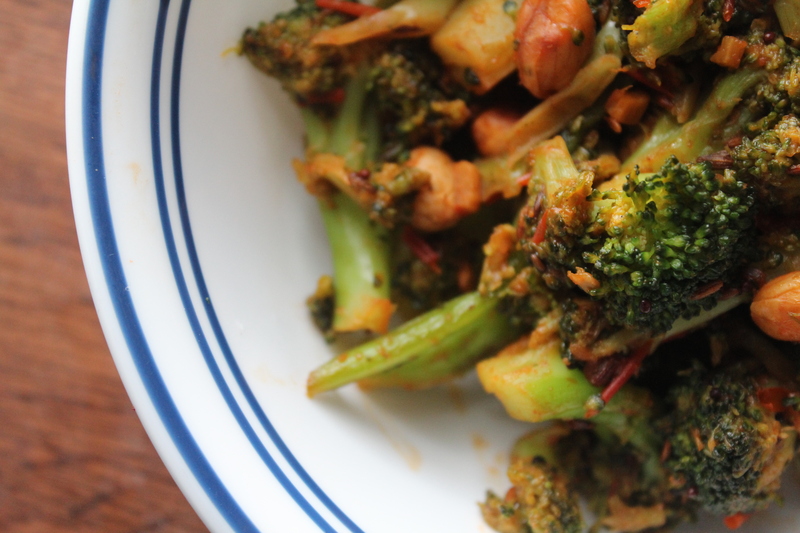 You can whip it up in seconds and if you already love broccoli I know I don’t have to sell this recipe idea to you :P. But if you are not, then I would still say this is definitely worth trying out to give broccoli a chance! Ok even if that is not enticing, go ahead and substitute your favorite veggies! (See the idea is to love what you eat! And I understand sometimes falling in love with a veggie takes time 🙂 ) Here I have used Harissa sauce, a spicy chili paste of Mediterranean origin. That can be substituted with any chill sauce you like. Harissa is generally available at Whole Foods and other grocery stores. Heat the oil in a pan. Add in the peanuts once the oil is hot. Salute till the peanuts brown a little. 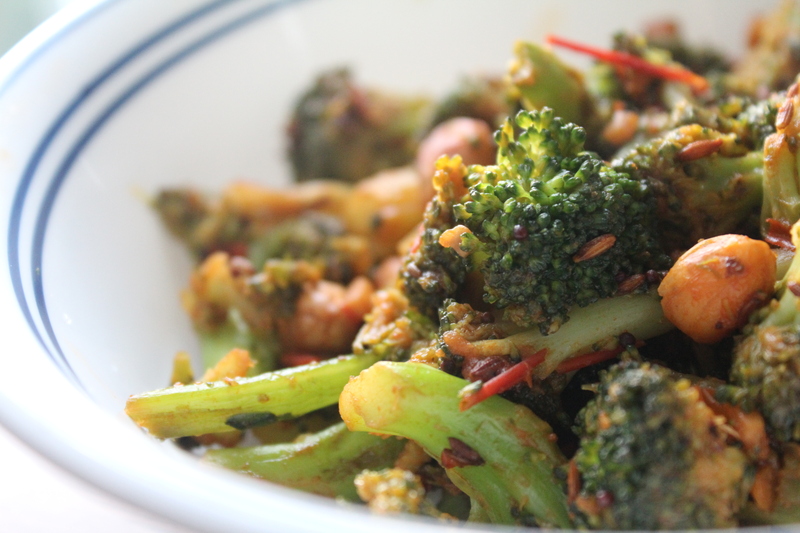 Add the broccoli, salt and harissa paste and salute well on high flame till the broccoli is half-cooked! This way the broccoli is still a little crunchy. Serve hot :). Optionally you can add in some cumin and mustard seeds along with the peanuts for tempering to make the dish more Indian!